We were supposed to go to Newton-Le-Willows but ended up in Formby instead. Stupidly I didn’t check the map before heading out and thought the junction on the M62 would be clearly signposted. It wasn’t and we ended up in Liverpool. I’ve been meaning to visit more Liverpool suburbs and I remembered that Formby was to the north on the coast. So we headed north on the ring road. A special mention needs to be made about the north ring road. Apart from being terminally boring with the constant stop start with the countless road junctions, there are some crazy road markings. This means on one side of a junction there will be three lanes of traffic, whilst on the opposite side there will be just two lanes of traffic. There are no warning signs and no road markings to indicate two lanes merging into one. God forbid if you find yourself in the middle lane as once you cross over you are faced with the choice of left or right lane and often as not there is a car either side of you. Twice I got caught in these dangerous road marking traps and twice my heart was in my mouth thinking ‘WTF!! !’ Just be warned, if you find there is an empty middle lane on the north ring road – avoid. I thought Formby was a suburb of Liverpool, but it’s actually a separate town. Once you get through the rolling suburbs of Liverpool on the road to Southport it turns into countryside. It’s pretty and flat countryside as you would expect on the coast. There are two signs to Formby – one for the beach and one for the town. I’ve spent enough drizzly days on northern coastal beaches to know that the town is the better option. I had heard that Formby was a well-to-do neighbourhood, but if you didn’t know beforehand you could tell by the large well-maintained houses on the road into the town centre. Also it did possess my two indicators of posh – a Waitrose and a Marks and Spencer’s Simply Food supermarket. Parking was straightforward. There was two hours free parking near the bus stop. Although there was a Parking Enforcement Officer on patrol, so we knew we could only do the two hours. 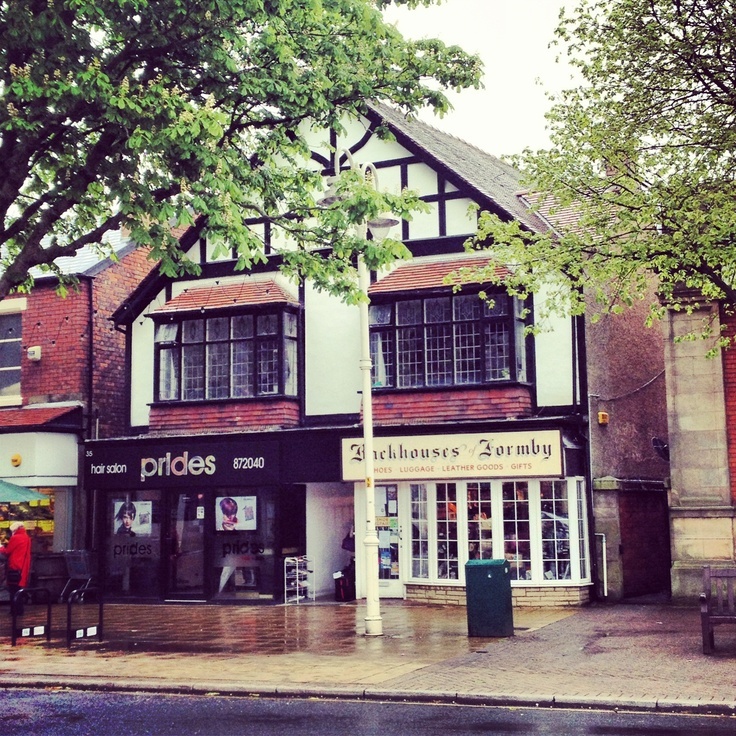 One of the things that drew us to Formby was the charity shops – there were plenty of them. They seriously did not disappoint. We found there were some local ones like the ‘Carla Lane Animals in Need’ and ‘Claire House’. The local YMCA had quite a range of Wedgewood and Portmerion pottery. If you are ever short of Tena Lady don’t go to the supermarket in Formby, go to Age UK. Honestly there were stacks of them all over the shop. I have to say the menswear Barnardo’s is the closest charity shop to challenge Alderley Edge’s Barnardo’s title as the most posh charity shop ever. Seriously great stuff in there and I reckon the local footballers must donate their clothes here. A special mention must go to Carla Lane’s Animals in Need as it did have the friendliest black border collie greeting customers – it was so cute. Neil was having a great time browsing the shops and they didn’t disappoint on the musical front as he picked up some records. I did notice that Formby did have quite a few doggies. Obviously the black border collie caught my eye, but there was an amazing looking border collie with piercing blue eyes outside a café bar. I would have taken a picture but its owner was there. 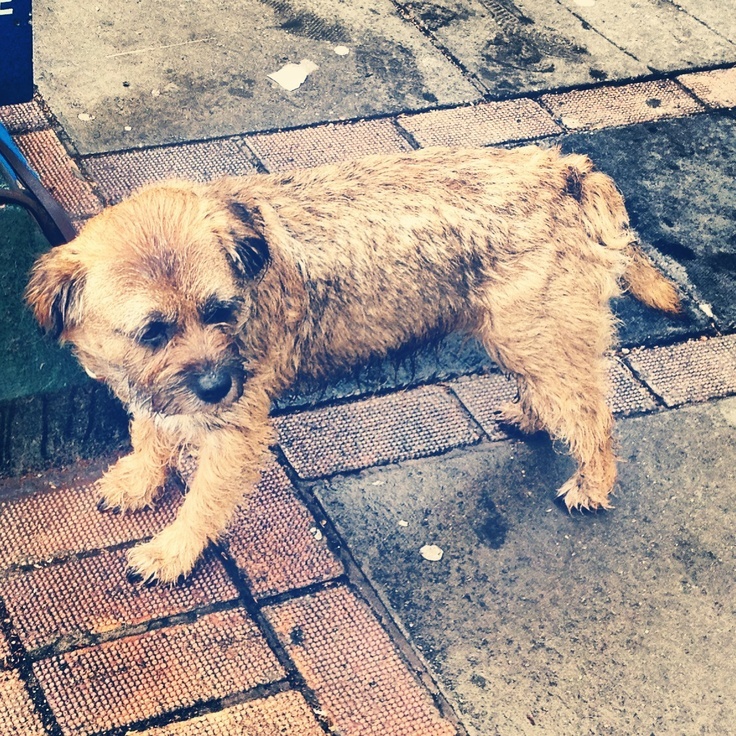 I did take a picture of a ginger mutt outside Oxfam. I felt sad for it as it was shivering in in the drizzle waiting for its owner. There are plenty of cafes to grab a coffee and a cake. There are your usual chains like Café Nero and Costa, but we went to Cup and Cake. The café had cute pastel décor and the staff were very friendly and helpful. 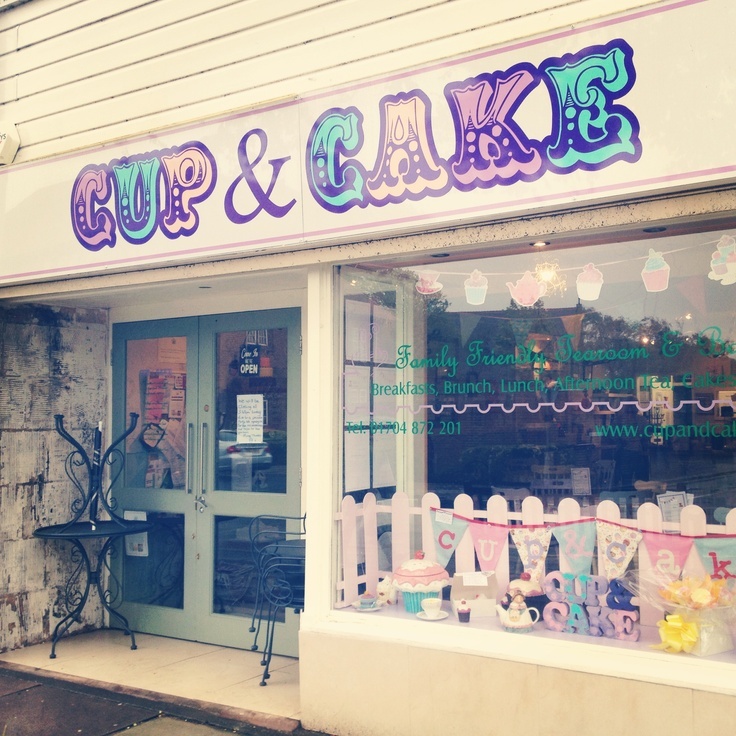 Most importantly their cupcakes were delicious – well worth a visit. I liked the fact amongst the charity shops, cafes and independent shops there were not only one, but two bookshops. Result!!! With the serious pressure of online shopping, it was so nice to see actual independent bookshops. I really hope they have loyal customers. Just on the edge of the town centre, opposite the Police Station is Formby Pool. I seriously got leisure centre envy. I work for a Leisure Trust and as much as we have some lovely sites, I was jealous. 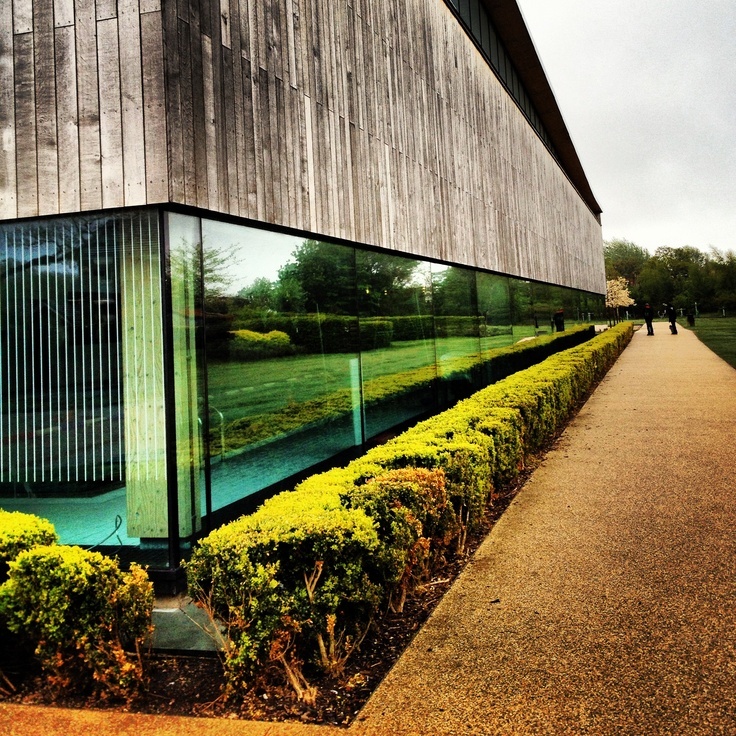 Formby Pool looks as if it has been transported from Scandinavia: slatted, silvered wooden panelling; tinted glass; angular architecture; and landscaped grounds with a manicured tree lined path. I loved what they did with the glass to the pool. They had vertical opaque lines which obscured the swimmers, but you can still see the pool. This is a very good thing as having worked in a leisure centre you do see some sights. All I can say is: hairy, overweight men in tight speedos – a seriously terrifying look. Even worse than middle aged cyclists in unforgiving lycra. There needs to be a ban on lycra for over 40s! I do recommend a trip to Formby, especially for the charity shop explorers. It’s such a genteel town with a lot to offer and the people are really friendly. My word of advice is not to travel through Liverpool as it takes an age to get there, but take the M62 and M57 or if you live in West Manchester, the A580 and M57 instead. Also try to go on a sunny day so you can check out the beach too.